Working together as a team in the world-renowned Imperial College Healthcare NHS Trust and the North West London Major Trauma Centre, OTL represents a group of medical professionals dedicated to providing pioneering, evidence based, innovative, world class care. The philosophy and vision is to translate the high quality care provided by the team into the private sector. We endeavour to offer personalised, patient-specific care with an emphasis on providing the best patient experience and outcomes. With regular multidisciplinary team meetings, access to the most modern imaging modalities, a focus on pre-conditioning, rehabilitation and wellbeing, OTL offers complete patient care. Mr Ian Sinha is a Consultant Trauma and Orthopaedic Surgeon at the North West London Major Trauma Centre, Imperial College Healthcare. He has a specialist interest in major trauma and arthroscopic surgery. 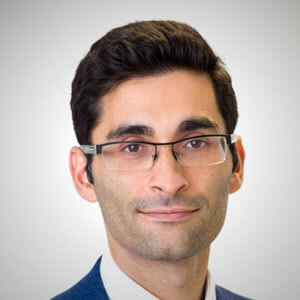 Mr Jas Daurka is a Consultant Orthopaedic Surgeon specialising in orthopaedic trauma management, complex hip replacement, sports hip surgery, pelvic injury and acetabular fracture surgery at St Mary's Hospital, Paddington. He provides a tertiary service for northwest London in the management of these disorders. 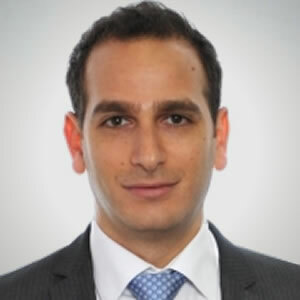 Dr Dimitri Amiras qualified from Imperial College School of Medicine with an intercalated degree in Medical Imaging in 2004. He returned to Imperial for his radiology training which he completed in 2012. He has completed a fellowship in musculoskeletal imaging in Fremantle Hospital, Australia and consolidated this training with observerships in the Academic Medical Center in Amsterdam and Auckland City Hospital in New Zealand. 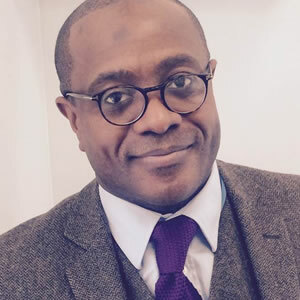 Mr Raymond Anakwe is a Consultant Trauma & Orthopaedic Surgeon, a specialist hand, wrist and elbow surgeon and a serving medical officer in the Royal Army Medical Corps of the British Army. He has served at home and on operations as the Regimental Medical Officer to 1st Battalion The Black Watch and as a surgeon deployed in a field hospital in Europe, North America, the Balkans, Iraq and Afghanistan. 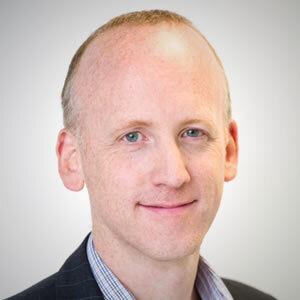 Mr Christopher Aylwin qualified from Barts and the London School of Medicine and Dentistry in 1999. He is a general surgeon and was trained in vascular and trauma surgery in London, and Cape Town, South Africa. He was appointed Vascular & Trauma Surgeon at Imperial College Healthcare NHS Trust in 2013. 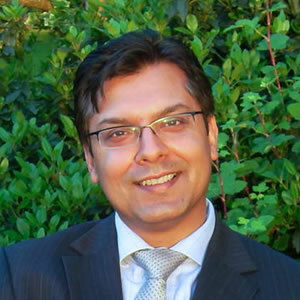 Mr Reza Mobasheri is a consultant spinal surgeon at Imperial healthcare NHS trust. He was appointed in 2012. Reza graduated from the UMDS of Guy's and St. Thomas' hospitals, London in 1992. He trained in South West Thames. 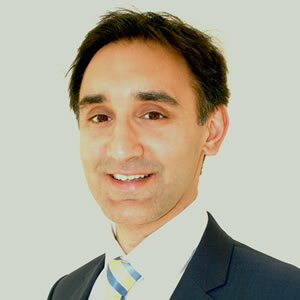 Mr Nadeem Mushtaq is a fellowship trained orthopaedic consultant specialising in all disorders of the foot & ankle. 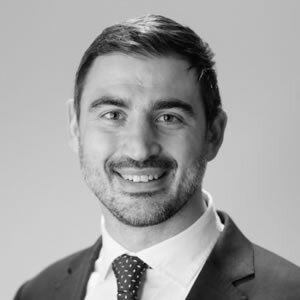 He qualified from St.George's Hospital, London in 1996 and completed his senior training on the Guys & Kings rotation, during which time he also undertook research at Brighton University obtaining a Masters Degree in Orthopaedics. 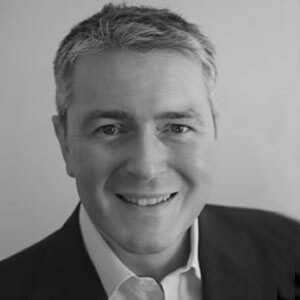 Mr Jon Simmons has been a consultant plastic surgeon at Imperial College Healthcare NHS Trust since 2011. His clinical interests include upper and lower limb trauma and soft tissue reconstruction. He also treats chronic non traumatic conditions of the hand and patients with peripheral nerve injuries. 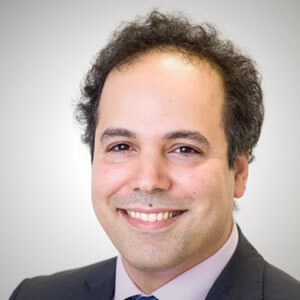 Mr Khaled Sarraf qualified from Guy’s, King’s and St Thomas’ Medical School (King’s College London) and completed his basic surgical training at Guy’s and St Thomas’ Hospital. He then undertook his higher surgical training in trauma and orthopaedic surgery on the Imperial North West Thames rotation. The hand and wrist is composed of intricate small bones, small joints, ligament complexes, flexor tendons, extensor tendons and nerves which are all finely balanced to achieve both fine movements and powerful actions. At OTL we offer a comprehensive range of therapies for conditions of the hand and wrist. The knee is a complex joint consisting of three compartments (medial tibiofemoral, lateral tibiofemoral and patellofemoral). The knee contains cartilage which acts as a shock absorber to protect the bone surfaces of the femur (thigh bone), tibia (shin bone) and patella (kneecap) that form the knee joint from excess stress. Articular cartilage is made of type 2 collagen and lies over the joint surfaces of the femur, tibia and patella. The knee contains the medial meniscus and the lateral meniscus which are C-shaped discs of collagen that act to provide additional cushioning in the medial and lateral compartments of the knee respectively. Knee movements are initiated, maintained and controlled by a group of primary large muscle groups and secondary accessory muscle groups. It is very important that the muscles are well conditioned, balanced and co-ordinated to optimise the performance of the knee and prevent injury. The quadricep muscles produce extension of the knee. The hamstring muscles produce flexion of the knee. The iliotibial band acts as an accessory muscle to flex and extend the knee. The popliteus muscle acts in controlling rotation of the knee. Weakness of these muscles, overuse or overtraining and tears of these muscles can lead to instability, knee pain, inflammation, tendinopathy and loss of function. Thus treatment of the knee must take into account knowledge and appreciation of the numerous structures both inside and outside of the knee and how they function together in order to plan the most appropriate and best treatment. At OTL we strive to provide a multidisciplinary approach to the management of your knee condition with the aim of providing the best outcomes. At OTL we approach the shoulder with an open mind, taking into account the numerous pathologies that can affect the shoulder, and the joints close to it. With a focus on appropriate diagnosis and a multidisciplinary approach with expert radiologists and physiotherapists, we endeavour to treat your shoulder condition holistically, with surgery reserved for conditions that have not responded to non-operative treatment. It plays an essential role in daily life facilitating the hand being able to work and function in a sphere and in sporting life it has an important role as a shock absorber. At OTL we aim to provide a comprehensive assessment and management of your elbow condition, exploring all treatment options with you with the aim of restoring function and activity. Hip and pelvis injuries can be a serious source of pain and disability, preventing a return to normal life. They include a wide variety of problems from sports related problems to high-energy industrial injuries of the pelvis. The team at OTL are experts at managing these conditions. They are regularly referred patients with difficult and complex injuries from other consultants nationwide. The foot and ankle is a unique part of the human body - containing 28 bones in total and 25 joints. These conditions can interfere with daily life, work and sports. At OTL we approach your condition in a multidisciplinary manner, with appreciation of not just the local condition but any associated biomechanics and alignment factors in the lower limb. With expert radiologists, physiotherapists, orthotists and surgeons, our aim is to restore your quality of life and activities. The spine contains 7 vertebra in the neck, 12 vertebrae in the thorax and 5 vertebra in the lumbar spine, the sacrum and the coccyx. Intervertebral discs separate the vertebra form one another. The bony vertebra protect the spinal cord that run in the middle of the vertebral canal. Nerve roots exit the spinal cord at each vertebral level. The spine is dependent on both its bone structure for its support, but also the numerous ligaments that link the vertebra and the muscles around the spine which help balance the motion in the spine. At OTL a multidisciplinary approach is essential to the correct diagnosis and management of your spinal problem. The rib cage is a protective skeleton for the underlying structures in the thorax - namely the lungs, heart, great vessels and upper abdominal organs (liver and spleen). For this reason the ribs are quite common bones to fracture (break). Ribs can be fractured following falls, road traffic crashes and sports (contact sports such as rugby, boxing and more extreme sports such as snowboarding). As we breathe, the lungs and ribcage expand as we inhale air and then return to their resting position when we breathe out (exhale). On average humans breathe 16 times per minute, 960 times per hour and an amazing 23,040 times over 24 hours. Thus fractured ribs are moved 23,040 times per day - hence the pain commonly associated with them. Fractures in the limbs are normally immobilised in slings, splints or plaster casts - this is not possible with rib fractures. The hamstrings are a group of muscles originating from the pelvis and inserting below the knee joint into the tibia and fibula. The hamstrings original and insertions are tendons with a large muscle belly in-between. The hamstrings play an important role in core stability and stability of the knee. A common injury to the hamstrings is an intrasubstance tear of the muscle belly. This can be graded with ultrasound and MRI scans. On some occasions the hamstring tendons can pull off from their bony insertions (avulsion). The calf is composed of two muscles - the deeper muscle is the soleus and the superficial muscle is the gastrocnemius. These two muscles insert into the heel as the achilles tendon. The gastrocnemius originated from just above the knee joint and the soleus from the tibia below the knee joint. The calf-achilles muscle tendon has an important role in plantar flexion of the foot (heel raising). The calf muscle is susceptible to muscle tears, delayed onset muscle soreness and the achilles tendon can tear, suffer from inflammation and tendinopathy.